Just Maya channeling the spirit of Twilight Sparkle. Or Twilight Sparkle cosplaying as Maya. "Maya channeling the spirit of Twiligt Sparkle"
It's either that or Twilight taking up spirit channeling. For second I was like: what did twilight do with her hair? 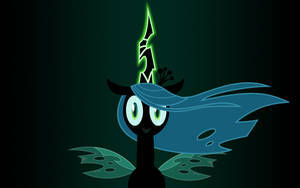 ....hmm, now that I think about it... that channeling would kinda be physically impossible to do with a pony. Just thinking of the body reshaping into something with hooves... *shudders* Ok, don't think too hard about it. It can't be too much weirder than when Pearl channeled Mia.